Cebu, in Philippines has become a popular tourist destination in recent times. The island is a lush tropical island with many attractions for the visitors. 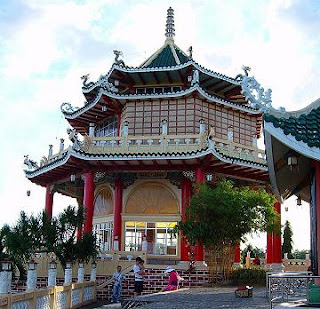 One of the must see attractions is the Taoist Temple. This temple is situated in the affluent and sophisticated residential suburb of Beverly Hills. Beverly Hills is located in the north of downtown Cebu. Cebu has around fifteen percent cent Chinese in her populations and this temple can be said to a contribution of the island's Chinese community. The Taoist temple is dedicated to Taoism. Taoism is an ancient religion of China. It is based on the teachings of Lao Tze, one of the noted ancient Chinese philosophers. Taoist devotees follow their rituals on two days, Wednesdays and Sundays. They assiduously climb the ninety-nine steps of the temple to light incense sticks. Having the fortune read by the monks has also become a ritual. 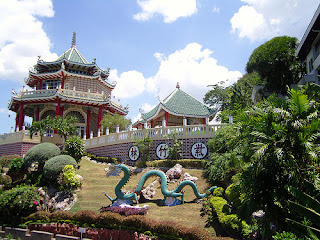 The temple was built in 1972 AD, the Taoist Temple is very elaborate and garish. It has a pagoda-style roof. This temple is quite some meters above the sea level. This elevation helps in allowing the visitors to have a glorious sight of the Cebu City. If you want, go in the afternoon and see the approaching evening. Be prepared to be enamored with stunning views of sunset. My grandfather was one of the 3 men that built this temple. He is the only one out of the 3 that is still alive. @monica You were saying only 3 men built that temple? I think it can't be built by 3 men only maybe you're saying that your grandfather was one of those who built the temple..